You may recall that several months back we wrote about Major League Baseball getting into a trademark dispute with Evolution Finance, who operates a website called WalletHub. The reason for the dispute was that WalletHub's logo was a white "W" on a green background, which MLB thought was too similar to symbols used by the Washington Nationals and Chicago Cubs teams. That Evolution Finance wasn't in even remotely the same industry as two major league baseball teams is a fact that appeared to escape MLB, as the league actually had the stones to claim that customers might be confused between the "W" symbols. Adding to the silliness of it all was the simple nature of the logos. 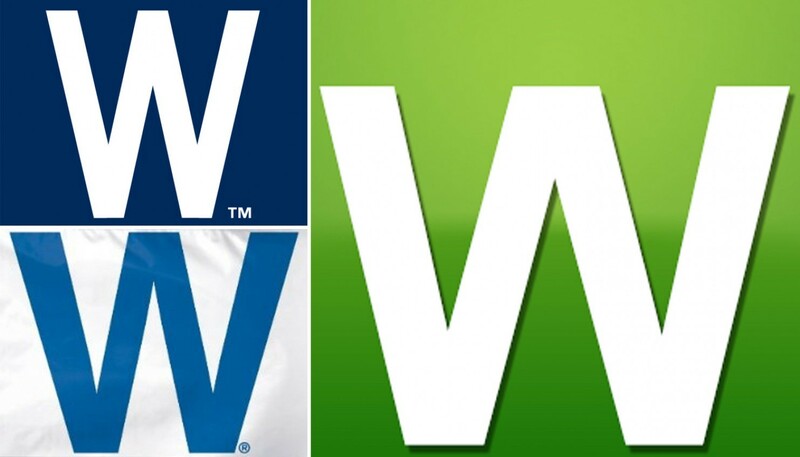 The top left image is a registered logo for the Washington Nationals baseball team, the bottom left is the registered "W" flag the Chicago Cubs fly whenever they win a game, and the logo on the right is WalletHub's. Yes they all look somewhat similar...because they're all basically just the letter "w." Similarity or no, the idea that WalletHub's logo might cause a human person with a human brain to think that it was associated with Major League Baseball requires the kind of thinking that I'm not capable of. But all has ended well, it appears. MLB has agreed to drop its opposition to WalletHub's trademark application after the latter agreed to amend the application to absolutely needlessly clarify that it wasn't a baseball team. The addition of a single sentence ended a lengthy period of negotiations over trademark infringement allegations over how the letter "W" was used in logos between D.C.-based Evolution Finance's financial information company WalletHub, the Washington Nationals and Major League Baseball. With that, MLB's complaint was dismissed July 14. If pettiness were a sport, MLB's lawyers would be winning the pennant. Honestly, this sounds more like a legal team extracting some kind of action out of an opponent simply to justify its own existence rather than an action with any actual legal interest. But, hey, trademark, amirite? ... and they somehow don't have a problem with each other? Two teams - two baseball teams - sport the letter "W" with roughly the same choice of colors ("blue over white" vs "white over blue")... and they both have a problem not with each other but a completely unrelated company (a financial one) that uses the same letter with a different color choice. That's not a trademark issue. It's clearly a "too much time to waste" issue.